Radio 2, its focused on men and women between 25 and 54. Radio top shows, events and entertainment in general and music are the highlights on its programming. 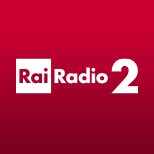 The leading show in Radio 2 is Il ruggito del coniglio, about entertainment. One of the main entertainment shows in the station, counts 646,000 daily listeners on its audience.